I'm sorry that I missed blogging about several big holidays (Halloween, Christmas and New Years), but I had to leave the country to renew my visa so I was lacking information about the happening in Shanghai. The good news is, I'll be back in Shanghai for another year!!! I look forward to sharing my cute experiences in Shanghai with you in the coming year. In the spirit of the New Year's tradition, I've decided to set a few goals for this blog that I aim to accomplish in 2014. 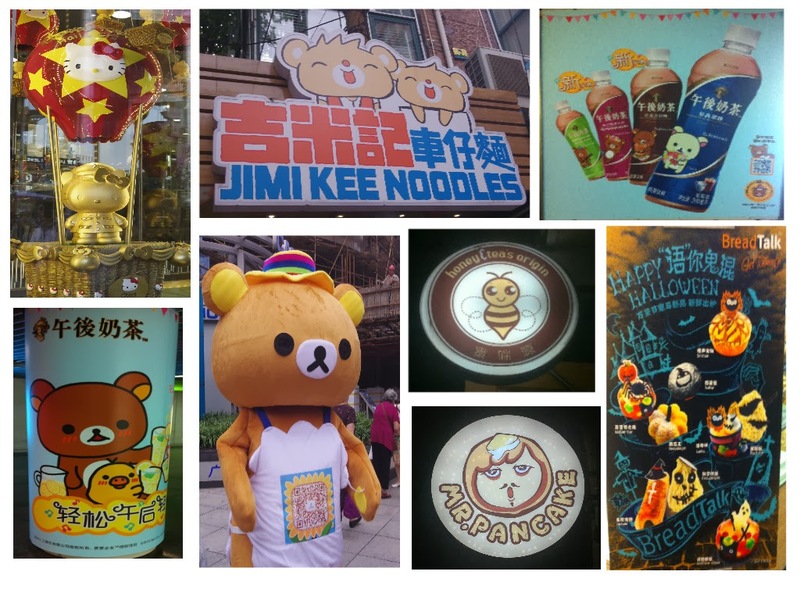 As consultation for missing so many events, here's a few more photos of cute signage, things and people I spotted around Shanghai in 2013.
at a Chinese photography exhibition. I'm sorry I don't remember the artist's name. These girls were advertising a small anime convention. and cool graphic designs. I love the front of this store! Here's a close up of the store front. See you back in Shanghai soon!